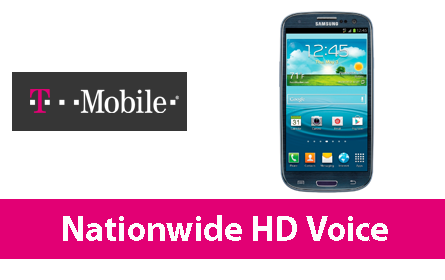 T-Mobile USA is the first carrier to launch HD voice service in the United States. quality with significantly reduced background noise. T-Mobile HD Voice leverages the Wideband Adaptive Multi-Rate (Wideband AMR) codec – a technology which accommodates an audio frequency range that’s twice as wide as a regular, narrowband cell phone call – as well as enhancements to the microphones and speaker systems in T-Mobile smartphones. 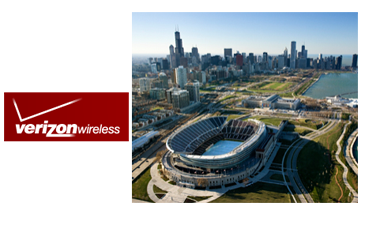 Verizon Wireless is working with Ericsson’s LTE Broadcast technology and network infrastructure to stream video to large numbers of mobile users in sports stadiums. At the 2013 International Consumer Electronics Show (CES), Verizon is showcasing the new experience enabled when spectators are able to access multiple camera angles, feeds and stats from live broadcast video, directly on their smartphone or other wireless device with consistent, reliable quality. Ericsson first demoed evolved Multimedia Broadcast Multicast Services (eMBMS) at Mobile World Congress 2012. 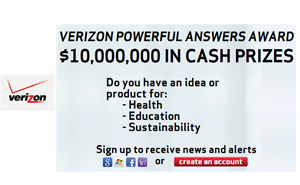 Verizon Pledges $10 Million for "Power Answers"
Verizon will award $10 million in prizes for ideas to help address some of the world's biggest challenges. The "Powerful Answers" competition seeks to challenge the best minds in the technology industry to develop wireless, wireline or cloud-based solutions addressing issues involving education, health care and sustainability. Prizes will be awarded in multiple categories. Submissions must include a summary of the idea or product; an articulation of the problem being solved; a high-level business plan; a sense of the potential global impact of the solution and how it utilizes Verizon's wireless and wireline network capabilities. Submissions will be judged by a panel of Verizon executives, members of academia, the media and the venture capital community. The awards will be made at CES 2014. "The reach and power of our converged mobile, video and cloud networks make them an unparalleled platform for delivering social innovations on a big, big scale. What we need now is for the best minds in the technology industry to figure out how to tap their capabilities to change the world for the better," said Lowell McAdam said Verizon's chairman and CEO. 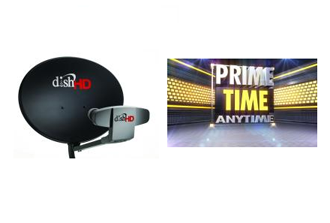 DISH Network announced an offer to purchase all of the Clearwire common shares at $3.30. “We look forward to working with Clearwire’s Special Committee as it evaluates our proposal,” said Tom Cullen, DISH executive vice president of Corporate Development. Clearwire confirmed the offer and said the DISH proposal is "only a preliminary indication of interest and is subject to numerous, material uncertainties and conditions, including the negotiation of multiple contractual arrangements being requested by DISH." Clearwire posted portions of the DISH proposal, including its intent to acquire spectrum covering approximately 11.4 billion MHz-POPs ("Spectrum Assets"), representing approximately 24% of Clearwire's total MHz pops of spectrum, for aggregate net cash proceeds to Clearwire of approximately $2.2 billion (the "Spectrum Purchase Price"). DISH said it might allow Clearwire to sell or lease up to an additional 2 MHz of Clearwire's spectrum to DISH from a channel that is adjacent to the Spectrum Assets at a price to be calculated in the same manner as the Spectrum Assets. In addition, DISH said it may request certain commercial services from Clearwire, including the construction, operation, maintenance, and management of a wireless network covering AWS-4 spectrum and new deployments of 2.5 GHz spectrum. Clearwire also posted a summary of the response it has already received from Sprint regarding the DISH offer. In essence, Sprint calls the DISH proposal " illusory, inferior to the Sprint transaction and not viable because it cannot be implemented in light of Clearwire's current legal and contractual obligations. " 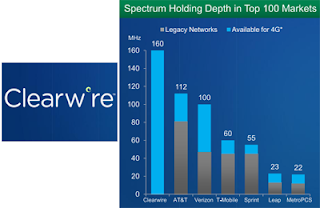 On December 17, 2012, Sprint Nextel Corporation agreed to acquire the approximately 50 percent stake in Clearwire it does not already own for $2.97 per share. Also in December, the FCC voted unanimously to approve an order that frees up 40 MHz of underutilized satellite spectrum for land-based mobile broadband, including 4G LTE. The decision removes regulatory barriers that limited this spectrum to satellite use. The FCC said its action balances technical requirements and will unlock value in both the AWS-4 band and the 10 MHz H Block. DISH issued a statement supporting the action. AT&T will offer developers access to a new Call Management API that enables applications to use an individual’s AT&T mobile number to access multiple devices. For instance, this could empower applications to conduct real-time communications, such as voice calling or video chats, to any device associated with a subscriber's mobile number. AT&T Mobility Chief Marketing Officer David Christopher describes the new Call Management API as "a step towards a world where customer’s existing mobile numbers are no longer tied to a single device and is designed to make it easy for developers to add real-time, voice and text communications to web and mobile apps." The AT&T Call Management API is powered by Voxeo Labs’ Tropo Platform and Ericsson’s IMS Innovation Platform, and is based on WebRTC. It is currently in early testing. 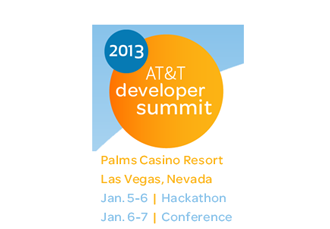 AT&T also announced a new Alpha API program to generate ideas from developers. As a result, APIs will be able to be sponsored into Alpha from third parties to increase collaboration and innovation. Text to Text Translation API: Based on the AT&T Watson speech recognition engine, this API will let apps translate spoken Spanish words into English text and vice versa. This Alpha API, in combination with others on the AT&T API Platform, will enable developers’ apps to auto-translate things like text messages and emails. Customer Profile API: This API can be used to make it easier and faster for customers to make purchases via mobile apps by securely auto-populating a purchase form with a subscriber’s address and personal information after opting in. Pricing: Beginning today, for $99 per year, developers will get one million API calls per month on the AT&T API Platform. Should a developer exceed one million API calls in a month, they pay at the rate of only a penny per call. Availability: Beginning today, AT&T is making its current APIs available to tens of millions of additional developers through toolkits available through: Microsoft Visual Studio, Salesforce Platform, IBM Worklight, Appcelerator Titanium and Adobe PhoneGap platforms. Advertising: AT&T plans to add an Advertising API during the first quarter to assist developers to add advertising and monetize their applications. It will feature an introductory revenue share, with 80 percent of advertising revenue to the developer. AT&T recorded its best-ever quarterly sales of Android and Apple smartphones in Q4 The carrier sold more than 10 million smartphones in the fourth quarter of 2012, topping its previous record quarter of 9.4 million, set in the fourth quarter of 2011. Ikanos Communications introduced its Fusiv Vx185-HP communications processor chipset for home gateways supporting triple play services in VDSL2 networks. 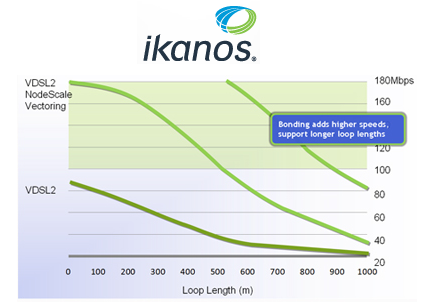 The new chipset delivers bonded VDSL2 rates up to 200Mbps downstream and 100Mbps upstream along with Ikanos' standards-compliant Nodescale Vectoring. The Fusiv Vx185-HP chipset uniquely incorporates a dedicated voice DSP for carrier grade voice and a serial ATA (SATA) controller for advanced storage applications, as well as supporting upcoming 802.11ac Wi-Fi. Hardware Security Protocol Accelerator for processing encryption algorithms such as DES, 3DES, and AES support up to 256-bit. 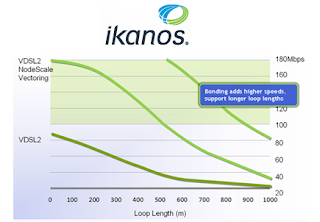 The Vx185-HP also compliments Ikanos’ central office products by implementing Ikanos Quality Video (iQV). 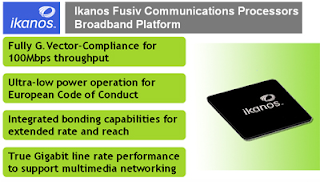 In addition, the new processors offers pin-to-pin compatibility with Ikanos’ existing Vx185-platform chips, together with re-use of existing Linux software and VDSL2 firmware. CyrusOne, a wholly owned subsidiary of Cincinnati Bell, commenced an initial public offering (IPO) of 16,500,000 shares at $16.00 to $18.00 per share. Cincinnati Bell will own approximately 71.6% of CyrusOne upon completion of this offering. CyrusOne has applied to list its common stock on the NASDAQ Global Select Market under the symbol “CONE. CyrusOne operates 21 data centers in eight distinct markets (Austin, Chicago, Cincinnati, Dallas, Houston, London, South Bend, and Singapore), collectively providing approximately 1,480,000 net rentable square feet (NRSF) and powered by approximately 105 megawatts, or MW, of utility power. CyrusOne also has four new data centers under construction in Dallas, Houston, Phoenix and San Antonio. 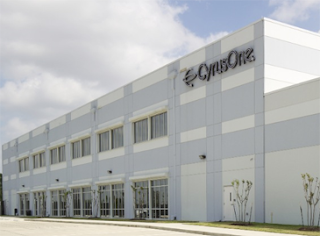 In September, CyrusOne officially opened a 670,000-square-foot data center in Carrollton, Texas. The facility will deliver 400,000 square feet of raised-floor data center space and approximately 60,000 square feet of class A office space. The company claims the best PUE in Texas. Broadcom's fourth generation DOCSIS 3.0 chipset bond up to 24x8 DOCSIS channels to achieve 1Gbps downstream speed -- triple the downstream bandwidth and double the upstream bandwidth from previous generations. 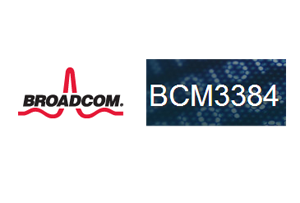 The new BCM3384 DOCSIS/Euro-DOCSIS 3.0 cable gateway SoC combines Broadcom's Full-Band Capture (FBC) digital tuning technology with remote diagnostics, dual-band concurrent Wi-Fi, a custom, dedicated applications processor and integrated DECT 6.0 CAT-iq 2.0. Significantly, Broadcom said the new system-on-a-chip (SoC) solution is pin compatible and leverages the same software and system design as its widely deployed BCM3383 DOCSIS 3.0 cable gateway. Broadcom also notes that a home gateway based on this chipset could also support 802.11ac Wi-Fi, enabling gigabit speed to extend over the last mile broadband connection and to Wi-Fi clients inside the home. Broadcom has licensed the ARMv7 and ARMv8 architectures. ARMv7 is the basis for all current 32-bit ARM Cortex processors, including the Cortex-A15 and Cortex-A9 processors. ARMv8 architecture is the first ARM architecture that includes 64-bit execution, enabling processors based on the architecture to combine 64-bit execution with 32-bit execution. Broadcom is one of the lead partners for the Cortex-A50 series of processors, the first implementation of the ARMv8 architecture, launched at the ARM TechCon in 2012. Panaya, a start-up based in Israel, raised $16 million in Series D funding for its ERP testing and SaaS automation solutions. 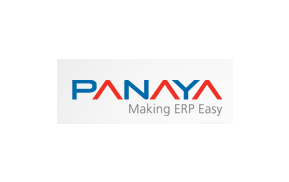 Panaya is a Software as a Service (SaaS) company that facilitates ERP upgrades and maintenance by providing visibility and control over business application changes during the system's life-cycle. Panaya simulates upcoming upgrades to SAP or Oracle, automatically pinpointing which custom programs will break as a result of the upgrade and automatically ﬁxing most of these problems. The company said its value proposition is its ability to reduce the time SAP and Oracle users spend during upgrades, testing and maintenance and save significant money, testing risk and effort. Panaya claims over 850 customers, most of which are SAP customers. Since introducing its solution for Oracle E-Business Suite (EBS) upgrades last year, the company has surpassed the 100 Oracle customer mark. Panaya recently opened regional offices in Saddle Brook, New Jersey; Karlsruhe, Germany; and Tokyo, Japan. The new funding came from the Panaya's existing investors, led by Battery Ventures. Also participating in the round were Benchmark Capital and Hasso Plattner Ventures. "This latest round of investment clearly demonstrates the strong confidence our investors have in the future of Panaya," said Yossi Cohen, Panaya's founder and CEO. "Despite the very strong interest of additional parties to invest in Panaya, we were very happy for the strong endorsement and validation signified by the fact that this round of funding was limited to our existing and satisfied group of investors."